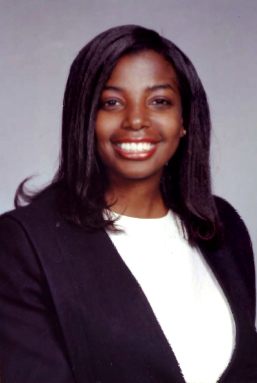 Veronica Robinson is currently the Owner/Attorney for the Law Offices of E. F. Robinson, P.A – the sister office of the Law Offices of E. F. Robinson, PLLC in Northern Virginia. Veronica’s ​legal expertise has been in the representation of individuals in their disability claims.The disability claims range from represent​ing students against ​school ​boards ​in their IDEA ​(spell out) ​claims to representi​ng individuals in Social Security Disability Claims. She litigates matters in federal​ court, state court ​as well as state governmental entities. Veronica has also represented husbands, wives, and children in divorce proceedings (dissolution of marriage); fathers and mothers in child support cases; fathers and mothers in timesharing (child custody)/ paternity; and children in child welfare and dependency proceedings. Distinguished by the lawyers governing Board, Veronica recently been designated as a Board Certified Attorney in Juvenile Law by the Florida Bar. Passionate about the needs of our most vulnerable, Veronica Robinson finds time to serve as Chief Executive Officer for the African-American Advocacy Center for Persons with Disabilities; an advisory board member for Florida Children’s First; and represents children in dependency and educational matters as an attorney-ad-litem. Veronica Robinson's superior trial skills has lauded her as an instructor for training attorneys for the National Association of Trial Lawyers in their dependency and civil litigation workshops. 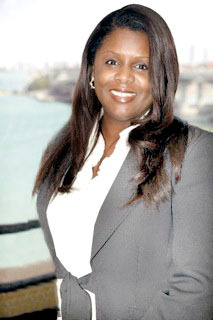 She has won numerous civil cases, promotions, and accolades for her superior legal and problem solving skills. Finally, it cannot be left unsaid that Veronica Robinson has been a member of Delta Sigma Theta Sorority, Inc. since 1989, faithfully serving her community. Emmett Robinson “E. 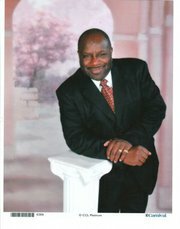 F. Robinson” is the founding attorney of the Law Offices of E. F. Robinson and works exclusively from our Virginia office. E. F. is a native of Virginia, a graduate of George Mason University College of Law, and a retired Major with the United States Air Force with over 20 years of military service. E.F. has experience in representing colleges and universities in contract and employment matters, yet focuses his practice on plaintiffs’ rights litigation. He truly believes in the protection of consumers and provides zealous advocacy for those victimized by automobile dealers, credit card agencies, banks, and insurance companies. Call us for a referral to the Virginia office for your Personal Injury, Bankruptcy, and Consumer needs in Virginia. For executive professionals and business owners, realtors, or government employees, and other professionals requiring legal advice in real estate and bankruptcy matters in South Florida, Attorney Gaila Anderson brings a wealth of experience. For more than 20 years, Gaila has earned a stellar reputation as an experience realtor and real estate attorney. Gaila is a past Board Member of the South Florida Board of Realists of Greater Miami, Florida; Delta Sigma Theta Sorority Inc.; the Broward Attorneys’ Real Estate Council; and the Lee County Housing Development Corp. Call us for a referral to the Anderson Law Group for your Real Estate, Bankruptcy, and Personal Injury needs in Florida.